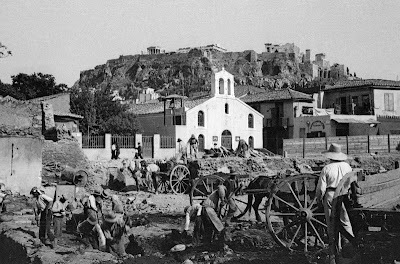 On November 21st the small chapel of Panagia Vlassarou, which was located in the shadow of the Acropolis, would celebrate its feast day. The settlement of the same name extended approximately from the Temple of Hephaestus to the Stoa of Attalos in the Ancient Agora. 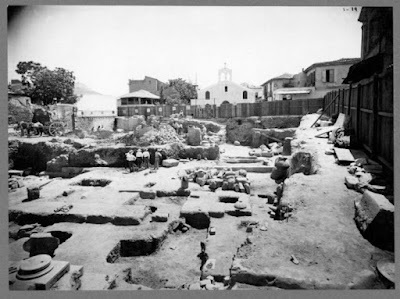 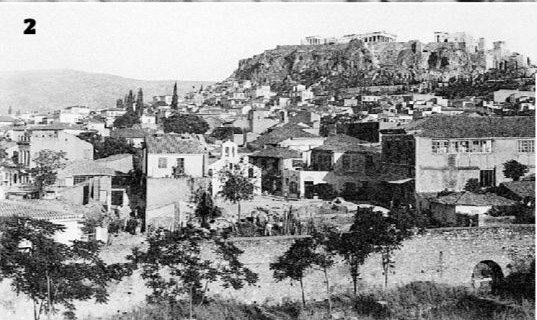 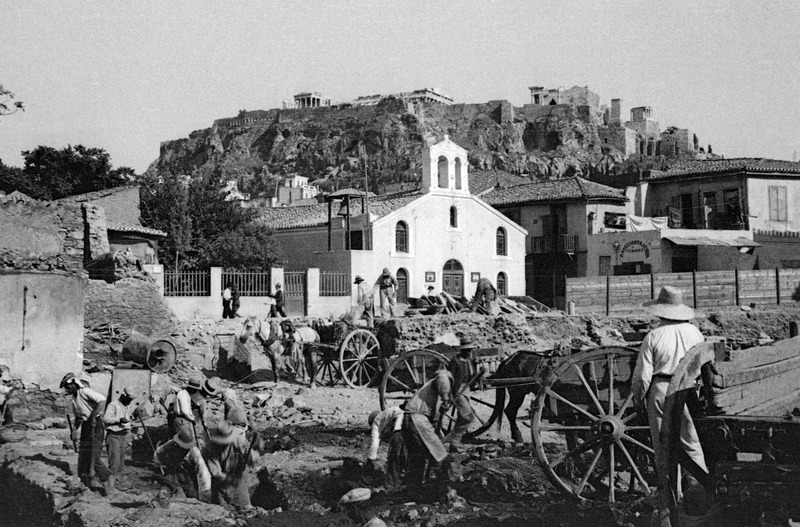 It is worth noting that in the census of October 26, 1824 the neighborhood of Vlassarou had 66 houses and 329 residents and was the fifth or sixth largest neighborhood of Athens (out of a total of 35). 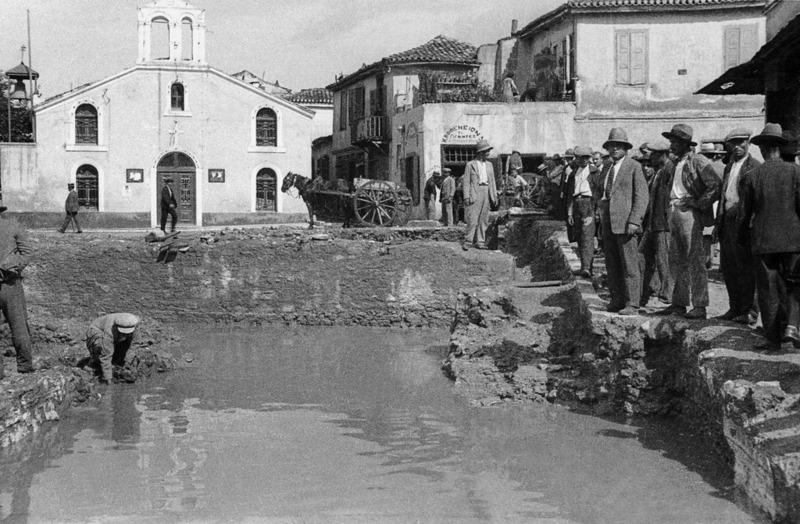 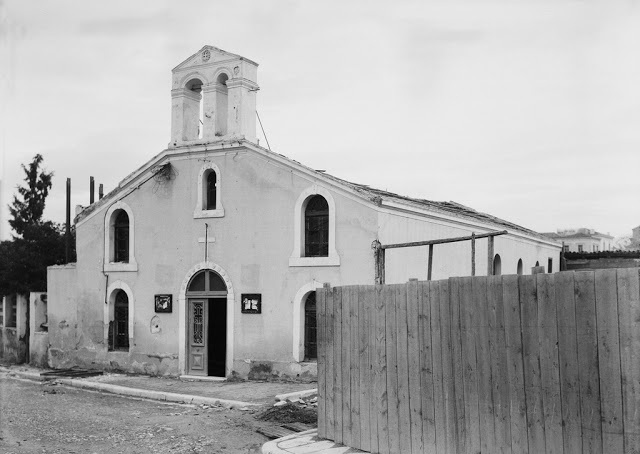 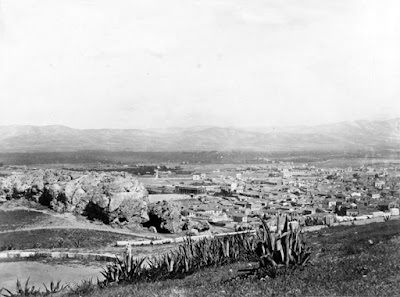 In 1931 the church and its neighborhood was demolished. 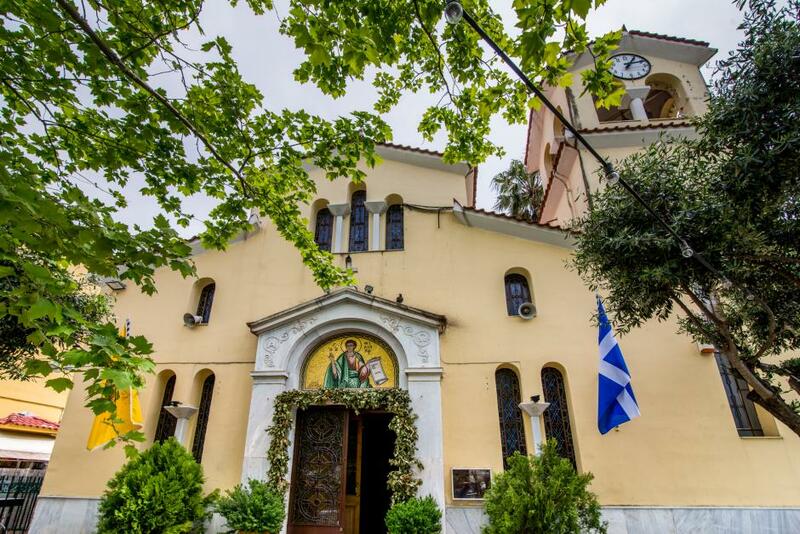 This is also the church in which Saint Michael Paknanas worshiped. 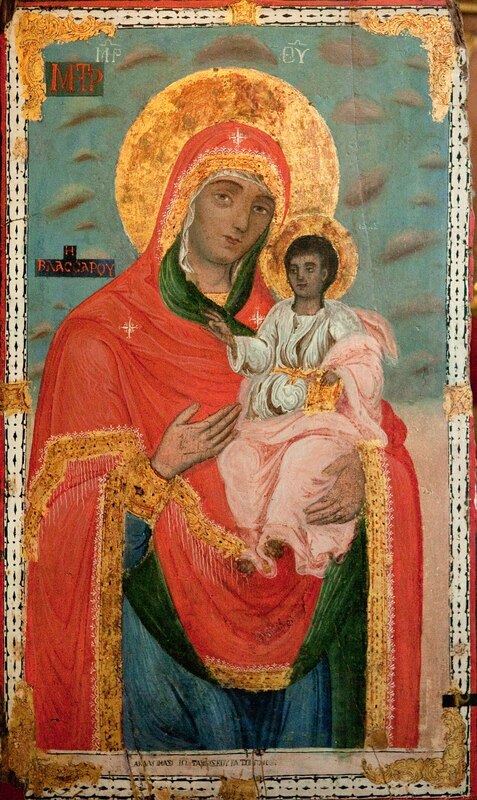 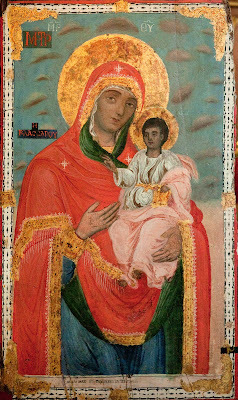 The old icon of the Panagia of Vlassarou is kept at the Holy Church of Saint Philip of Vlassarou and every year a solemn vigil takes place on the feast of the Entrance of the Theotokos. 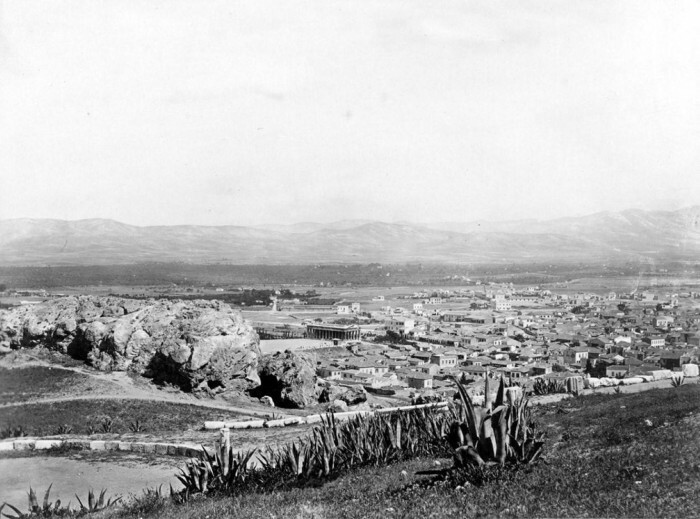 The church is in the center of this photo. Taken May 25, 1931.